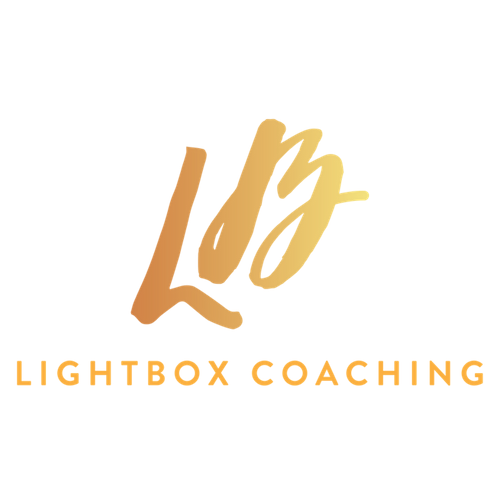 At LightBOX Coaching I help women to build careers beyond motherhood that they love and that work in ways that feel good for them. One of my clients started her dream role this week and I’m super excited for her. 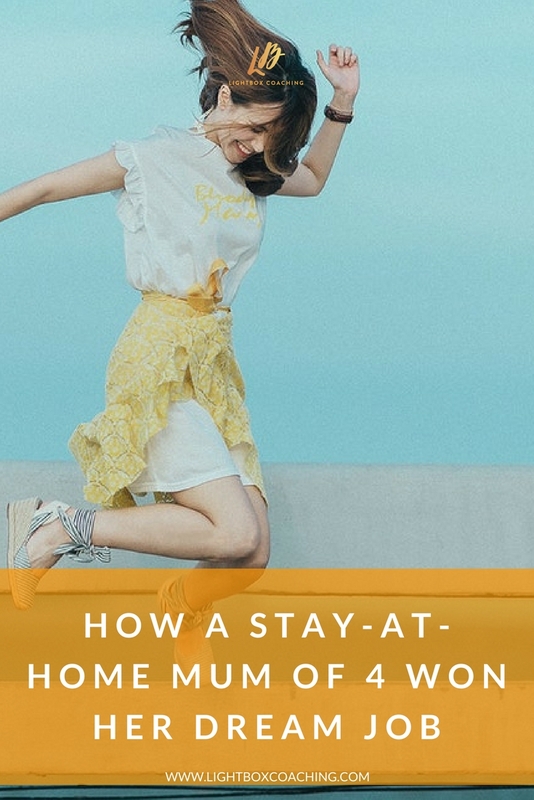 In this post I want to tell you a bit about her journey, and how she went from being a stay-at-home mother of four to landing her dream role. My client’s goal in the 90 days following the course was to secure a part-time role in events management. We broke the steps involved in working towards that down into the next 30 days, the next 60 days,and the next 90 days, and worked out how to make it happen. When the course finished, she reached out to me for some continued support in implementing her 90-day plan. We started with her CV. We reworked it and figured out how we could best draw out and include the really great experience that she had built up before her five-year career break. Then we worked on interview preparation and honed in on her interview style. Then we talked about the role that she actually wanted, and looked for roles that she could apply for. After some searching, she sent a job spec to me that literally described everything that she had listed when she told me what she wanted. I thought it was a brilliant role for her to go for. We worked on her application form, we worked some more on her CV. We worked on what she needed to put forward to put herself in the best light. Fast forward a few weeks. She called me and said: “Coach, you’re never going to guess what. I actually secured the position.” I was just so, so excited for her because I knew she could do it, but, at the beginning, she was lacking confidence. If you have been out of the workforce for a while and you’re looking to return to work, you know that confidence can take a knock. You wonder whether or not you have it in you to actually go and do the job that you’re applying for. Seeing my client go on that journey, from not feeling very confident or really knowing exactly what she needed to do to get there, to seeing her start in her dream role this week, confident that it is flexible enough that she can work things around her four children and still be around for them, just makes me super-duper happy. She’s super-duper happy too! If you are in that place of feeling like you don’t really know what you need to do to get back into the workforce or transition into a new role, then I want you to know that it absolutely is possible. The main thing that my client did that made it happen was believing that it was possible. Put out there what you want and believe that it is possible to achieve it. Get really clear about how your experience can match the role that she you are applying for. Get support. If you feel you are lacking the insight or the skills, seek it from someone else and let them help you to reach your goal. I want to encourage you to go for it! If you’re not in the game, then you’re definitely not going to achieve the results, right? You need to dive in and take some action. There are a few places opening up next month for my career kickstart sessions. If you’d be interested in getting some similar support, you can apply for one of those spots. Watch me share tips and strategies to help you on your career journey every Thursday. Subscribe to my Facebook page and you’ll get a notification when I go live.